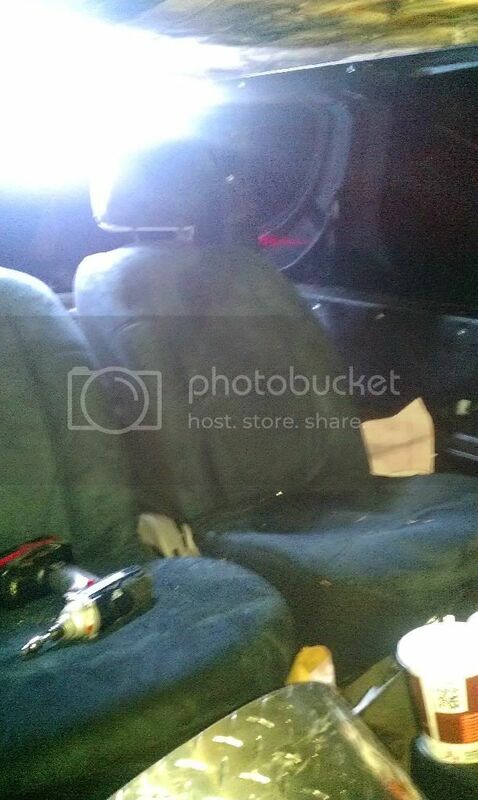 I lit my 1990 bronco ii rear seat on fire welding... :-( would any 84-90 rear seat bolt it? Anybody know if rear explorer seat will bolt in? Exploder rear seats will not fit. Any year B2 will fit, but the upholstery style varies. Do you have any pics of your backseat setup? That thought occured to me, but I wrote it off assuming there wouldn't be enough headroom. I have blue rears from my project (89 B2 XLT) i'd sell cheap, not sure on shipping though. PM me if interested.. Some BII's were Factory built with rear buckets. the brackets are the key/difference. When life is passing you by, downshift! we've got some 84 red rear seats around still i believe. They are just dirty. 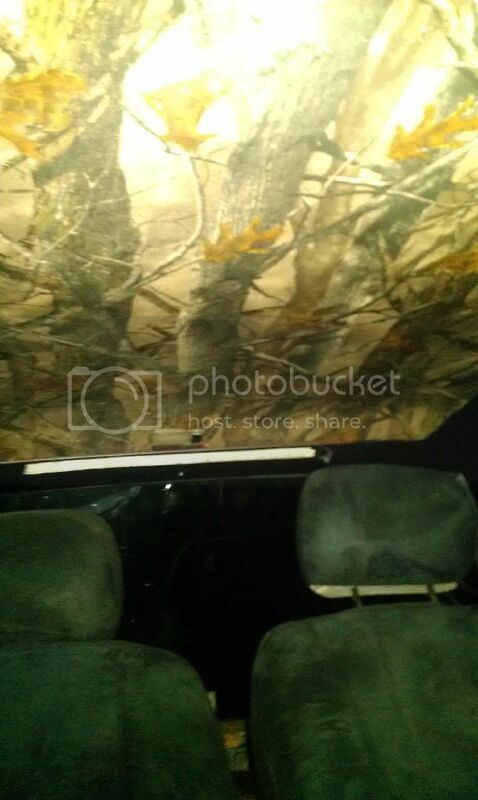 Thank you, way better then the sagging red headliner that came with it. Also did my door panels and dash with it. Do you still have the blue rear seats from your BII!? I'd SO be interested in them if you still have them! Do you still have the red rear seats? I doubt they are around anymore, the post was from 5 years ago. I checked and they haven't been on site for 4 years. Where are you? I have a red rear seat. 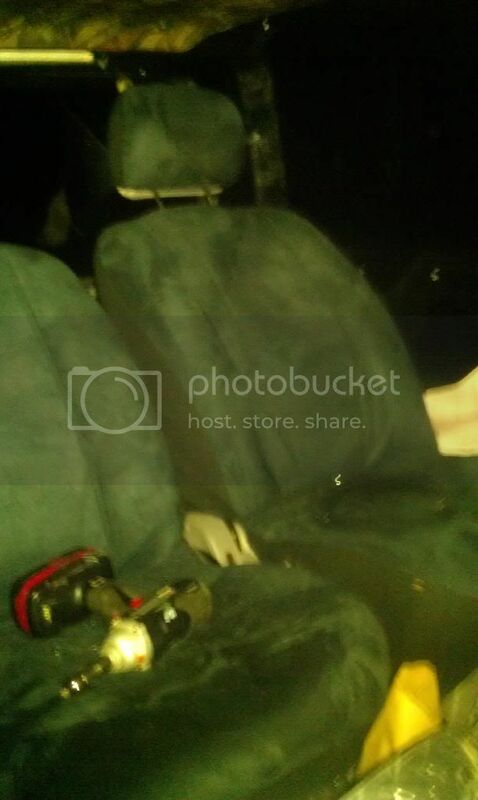 I am wanting to find a rear seat that has integrated shoulder belts for safety. Not going to be picky about the upholstery as I will eventually get all that re-done anyway. And front seats need upgraded, and I gather that I need to keep the donor rails/tracks and possibly make new frame holes-is that correct? No BII had integrated shoulder restraints because of the side windows. You'd have to find something else that might fit to make it work. Keep all hardware as it's getting harder and harder to find too.